In July 1975 two manned spacecraft were launched into Earth orbit--one from Kazakhstan, the other from Florida. Their rendezvous in orbit fulfilled a 1972 agreement between the Soviet Union and the United States to participate in a joint venture in space. The Apollo-Soyuz Test Project marked a brief thaw in the Cold War and the first time that the two rivals cooperated in a manned space mission. During the mission, the five crew members visited each other's spacecraft, shared meals, and worked on various tasks during several days together in space. As part of this effort of détente, the United States and Soviet Union also participated in joint missions here on Earth to commemorate the historic mission. 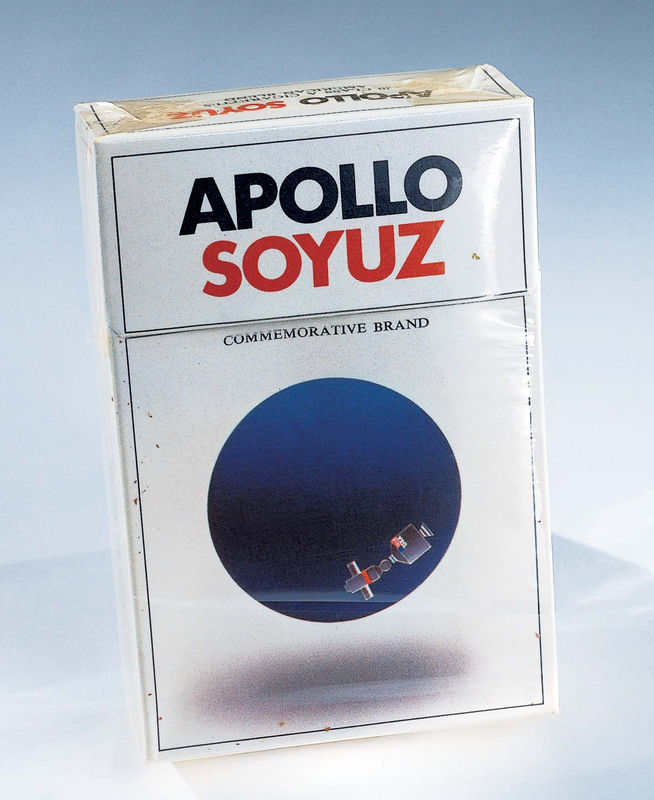 This is a package of Apollo-Soyuz cigarettes that were manufactured as part of a joint venture between the American cigarette manufacturer Phillip Morris and the Soviet Yava cigarette factory. At the time of the Apollo-Soyuz agreement diplomats thought that joint manufacturing ventures that grew of the mission could sustain détente beyond the 1975 spaceflight. An American employee of NASA donated this package of cigarettes to the museum in the 1970s.